If you are in the market for a new pickup truck, you have likely been considering the 2018 RAM 1500 and 2018 Chevrolet Silverado. These outstanding trucks are known for offering a comfortable ride and smooth handling, along with impressive power ratings. 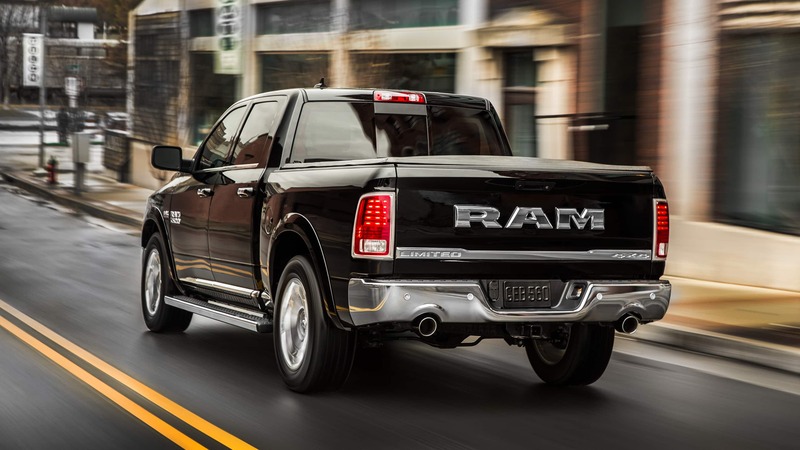 The 2018 RAM 1500 has gained many great features for the new year, including cutting-edge infotainment technology, convenient features for loading/unloading the bed, and new appearance features. The Chevy Silverado is returning mostly unchanged for 2018, but there are some new standard features like a rearview camera. You can learn more about these two great options, and which truck would be right for you, by reading below! RAM offers three outstanding engines with their 1500. The first is the award-winning 3.6L Pentastar V6 that offers 305 horsepower and 269 lb-ft of torque. 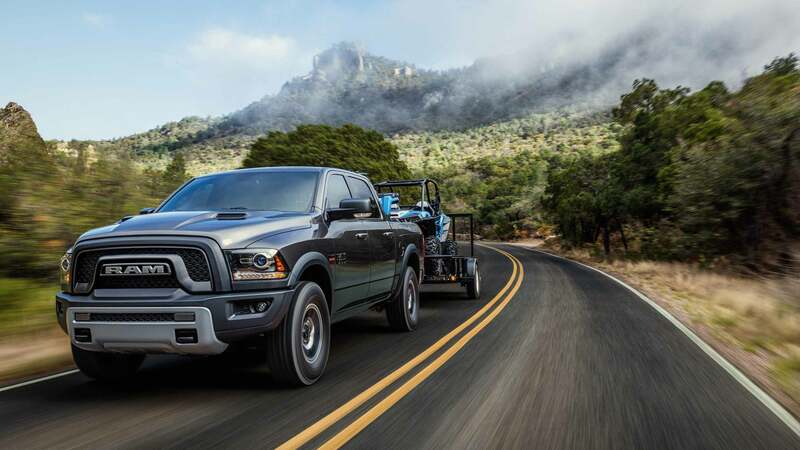 The next is a 3.0L EcoDiesel V6 engine with 240 horsepower and 420 lb-ft of torque, and finally there is a 5.7L HEMI V8 that boasts 395 horsepower and 410 lb-ft of torque. The 1500 utilizes a class-exclusive TorqueFlite eight-speed automatic transmission, which has thermal control technology to increase durability and efficiency. There are three engines in the Silverado lineup, starting with the 4.3-liter V6 that has 305 lb-ft of torque and 285 horsepower. There are two available V8 engines, the first being a 5.3-liter V8 with 355 horsepower and 383 lb-ft of torque and the second being the 6.2-liter V8 with 420 horsepower and 460 lb-ft of torque. Chevy pairs all of their engines with a six-speed automatic transmission. The new 1500 is available in five different bed and cab configurations, along with eleven fantastic trim levels. For 2018, the 1500 has received a wide range of new technology and appearance packages which makes it easy for customers to create their perfect truck. The 2018 year has brought with it an incredibly luxurious Limited Tungsten edition and upgrades to the Sport model. A backup camera is now standard in the 1500, and the available 8.4-inch Uconnect system has HD Radio, 4G LTE, and smartphone compatibility for Android Auto and Apple Car Play. Helpful features for the daily job include a Fleet Telematics Module (for tracking vehicles) and an exterior switch to turn on the LED bed lights. The new Silverado is offered in five bed and cab configurations, and there are eight optional trim levels. However, the trim availability depends on which cab is chosen. There have been very few new additions to the 2018 Silverado, but the vehicle does now come standard with a 7-inch touchscreen. The standard features found in every Silverado include xenon headlights, 17-inch steel wheels, a driver information display, and vinyl seating. The MyLink infotainment system can be upgraded to an 8-inch touchscreen display, and it is compatible with Apple CarPlay and Android Auto. If you want a well-rounded, sophisticated, and comfortable truck for your everyday needs, the new 2018 RAM 1500 is a tremendous option. It is loaded with fantastic new technological features for 2018, and the wide range of trim, cab, and bed choices make it perfect for customers who want to create their perfect truck. If you would like to learn more about the trucks available at Marlow Motor Company, contact us today!